Microsoft improved the features of Disk Management in Windows Vista, Windows 7 and Windows Server 2008, you can shrink and expand a partition in Disk Management of these Windows operating system. What about Windows XP and Windows Server 2003? In fact, you cannot do this in Disk Management, but Microsoft provides a command line – diskpart.exe, so this in this article we’ll discuss how to expand Windows Server 2003 with Diskpart command line. What is diskpart command line? Diskpart enables a superset of the actions that are supported by the Disk Management snap-in. The Disk Management snap-in prohibits you from inadvertently performing actions that may result in data loss. It is recommended that you use the Diskpart utility cautiously because Diskpart enables explicit control of partitions and volumes. Only the extension of data volumes is supported. Note: To extend a partition or volume, you must first select the volume to give it the focus, and then you can specify how large to make the extension. How to extend partition with diskpart command line? 1. In Windows XP and in Windows 2000, you cannot use Diskpart.exe to extend a simple volume on a Dynamic disk that was originally created on a Basic disk. 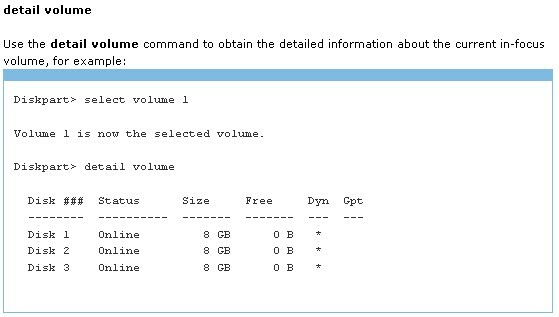 You can extend only simple volumes that were created after the disk was upgraded to Dynamic disk. If you try to extend a simple volume on a Dynamic disk that was originally created on a Basic disk, you receive the following error message. This restriction was removed in Windows Server 2003. “Diskpart failed to extend the volume. 2. Windows Server 2003 and Windows XP include Diskpart.exe as part of the base operating system. 3. The link to download Diskpart.exe is only for Windows 2000. For Windows Server 2003 and for Windows XP, use the Diskpart.exe tool that is built in to these operating systems. Not every Windows edition integrated Diskpart. 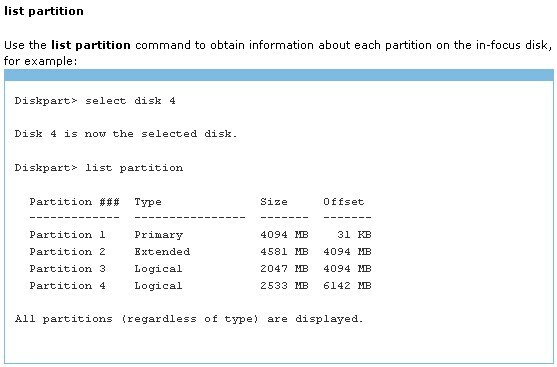 You cannot extend a partition until there is unallocated space behind this partition. Risk of losing data, no Undo features. Windows Vista/7 and Server 2008 provides more features under Disk Management that older versions. 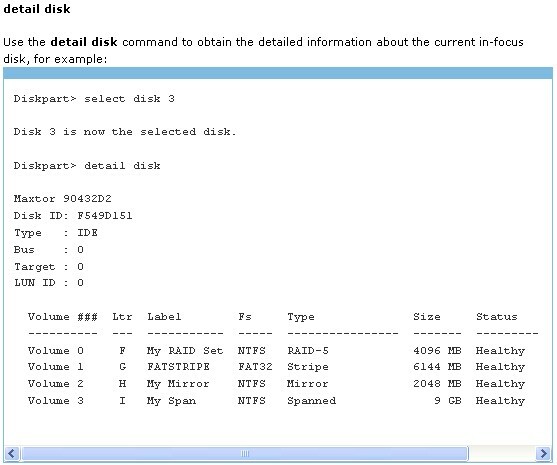 You can shrink and extend partitions with the guide under Disk Management. 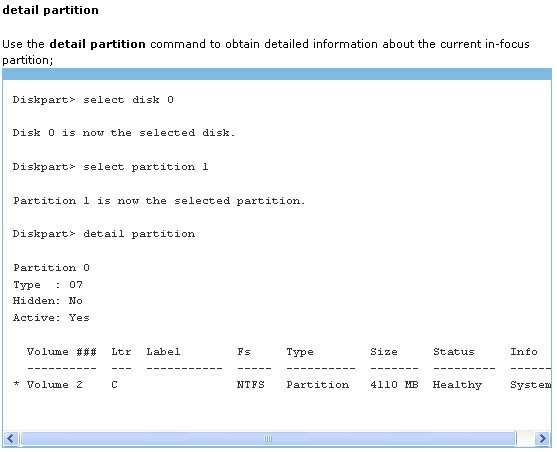 For detailed steps, please refer how to shrink and extend partition under Server 2008 (the same with Windows Vista/7). To better resize, extend and manage your disk partition, you’d better run third-party partition software. For Windows XP/Vista/7 uers, please refer professional partition software. For Windows Server 2000/2003/2008 users, please refer Server partition software.